Rock Solid 3 Family! Impeccably Maintained by multi-generational family member/owners! This remarkable 3 Family offers a number of options for a variety of buyer profiles! Solid capital improvements like the newer heating systems over the last several years allow for an easy transition for an owner occupant or a buy and hold investor! 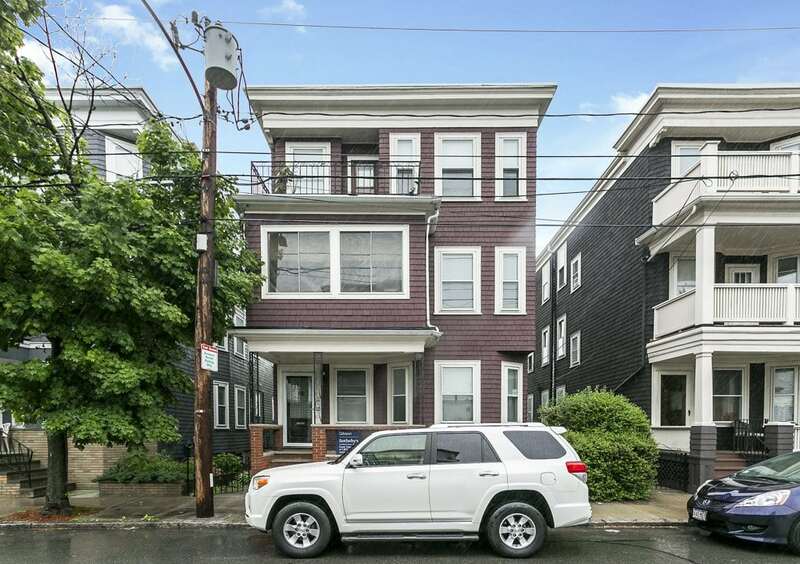 Given the consistent uptrend in the selling prices per square foot for luxury renovations in East Boston, a top quality developer can make this a viable renovation project with impressive sell out numbers as well! A Commuter’s Dream Location only one block from the newly renovated Orient Heights Blue Line T Station. Wonderful Classic floor plans with Large EIKs w/pantries, Big Dining rooms, Large Livingrooms and up to 3 bedrooms per floor on the upper levels is possible! Front & Back Porches & Sunrooms! Tons of storage in the enormous full height walkout basement! Big Grassy level backyard! Don’t Miss Out on this Multifamily!